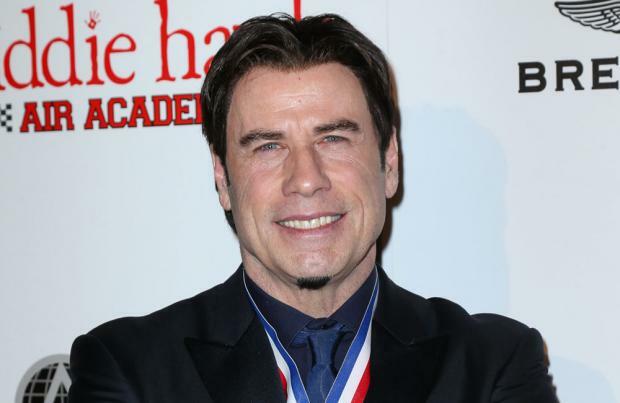 John Travolta has apologised for calling Idina Menzel 'Adele Dazeem' at the Oscars. The 'Pulp Fiction' actor was met with ridicule on social media after mispronouncing the 'Frozen' actress' name when he introduced her to the stage to perform soundtrack song 'Let It Go' on Sunday night (02.03.14), and while he hasn't explained what went wrong, Travolta says he has "let go" of the embarrassing moment. According to Today.com, in a statement issued through his publicist, he said: "I've been beating myself up all day. Then I thought ... what would Idina Menzel say? She'd say, 'Let it go, let it go!' Idina is incredibly talented and I am so happy 'Frozen' took home two Oscars Sunday night!" While Travolta's flub pulled some of the attention away, Menzel gave a show-stopping performance of 'Let It Go', which was crowned Best Original Song at the Academy Awards, beating Pharrell Williams' 'Happy' - from the 'Despicable Me 2' soundtrack - and U2's 'Ordinary Love', which is featured in 'Mandela: Long Walk to Freedom'. 'Frozen' also took home the prize for Best Animated Feature, despite stiff competition from 'Despicable Me 2' and 'The Croods'. The family-friendly flick - which features the voices of Menzel, Kristen Bell, Josh Gad and Jonathan Groff - is on course to become Disney's highest grossing animated film and a stage adaptation is in the works.